Buy One Get One Womens' Boots! Prices Start At $20.82!9! 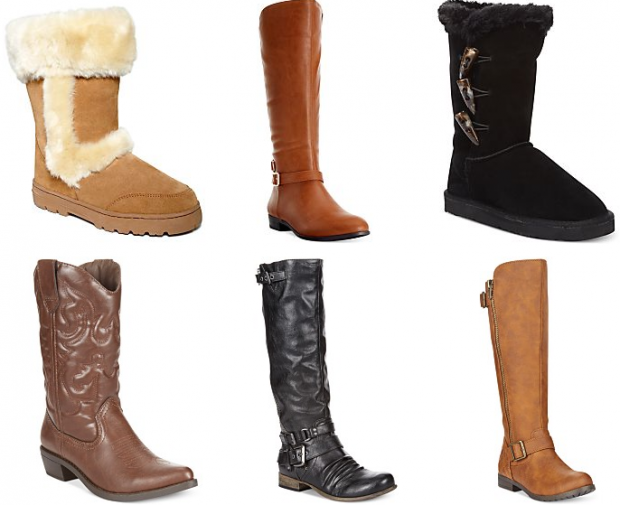 You are here: Home / Great Deals / Christmas Deals / Buy One Get One Womens’ Boots! Prices Start At $20.82! Buy One Get One Womens’ Boots! Prices Start At $20.82! Head over to Macy’s to get this Buy 1 Get 1 Free Women’s Boots deal! No promo code is needed, the discount will automatically apply at checkout. Prices start at just $20.82, so after the BOGO Discount, you’ll pay as low as $10.41 for each pair! Plus, if you spend $25 or more, use promo code CYBER to get FREE Shipping! This deal ends tomorrow!